This is one of my favorite exercises because it does not involve weights so players of all ages can do this drill. This drill will strengthen the wrists, forearms and shoulders. Give this exercise a try with your player, you will be amazed at the strength developed in your wrists and forearms. 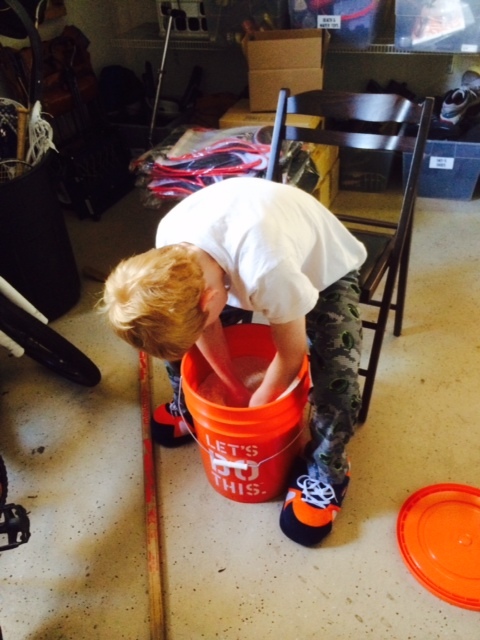 Rice bucket drills can be used as strength building exercises for ball players of all ages. The following rice bucket drills will help pitchers develop the necessary wrist and forearm strength. To perform these drills you will need a 5-10 gallon bucket, filled with 10-15 pounds of rice (not cooked! – favorite disclaimer ever). Each drill should be performed for approximately 30 seconds.